It’s time to pass out gold to the talented folks who put the shine on this golden age of television. Parade queued up the Emmys’ most memorable moments and historic highlights from seven decades of TV’s biggest night. 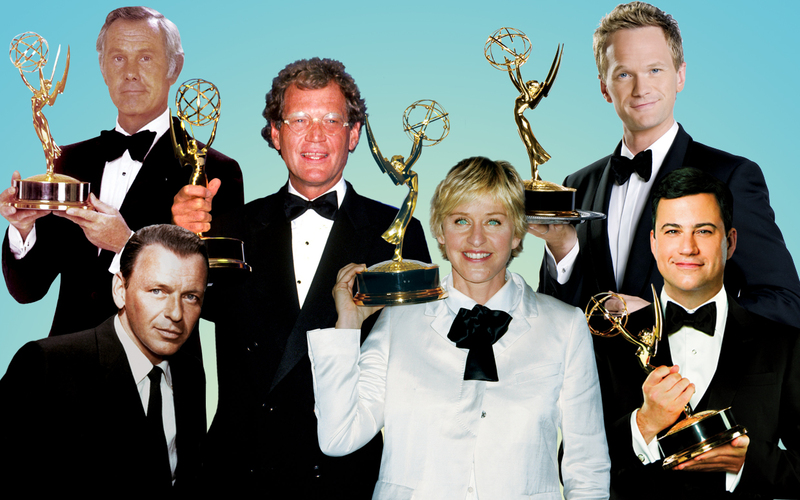 Johnny Carson, David Letterman, Jimmy Kimmel, Ellen DeGeneres, Neil Patrick Harris and Frank Sinatra all hosted the Emmys and the Oscars. 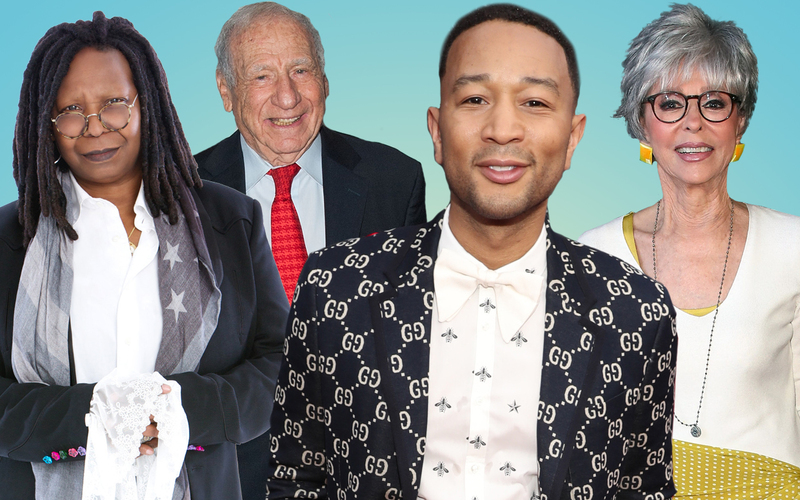 Who’s the Emmy host with the most? Carson, who emceed five ceremonies. 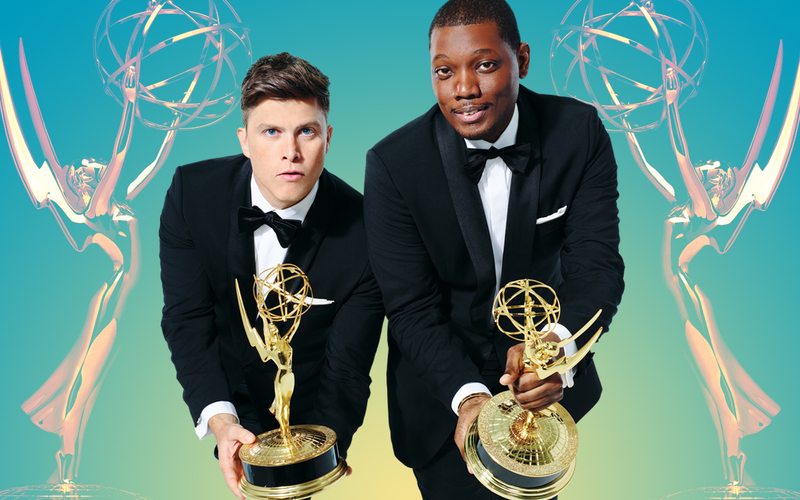 This is the first time since 1999 that two people (SNL’s Michael Che and Colin Jost) have shared the duties (though five reality show hosts took turns in 2008). 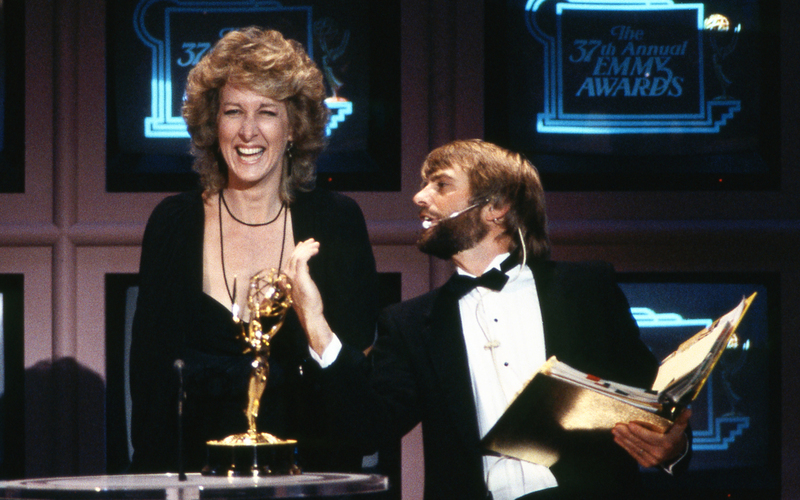 When Betty Thomas won Outstanding Supporting Actress in a Drama Series for Hill Street Blues in 1985, a man came onto the stage to accept the Emmy on her behalf—even though Thomas was in the audience. He turned out to be Barry Bremen, a professional hoaxer known to pull similar pranks at events, such as the Super Bowl. He was booked for an investigation of attempted grand theft and ultimately fined $175 and sentenced to six months’ probation. Viola Davis became the first African-American to win for Outstanding Lead Actress in a Drama Series, for her work in How to Get Away with Murder in 2015. “The only thing that separates women of color from anyone is opportunity,” she said at the podium. 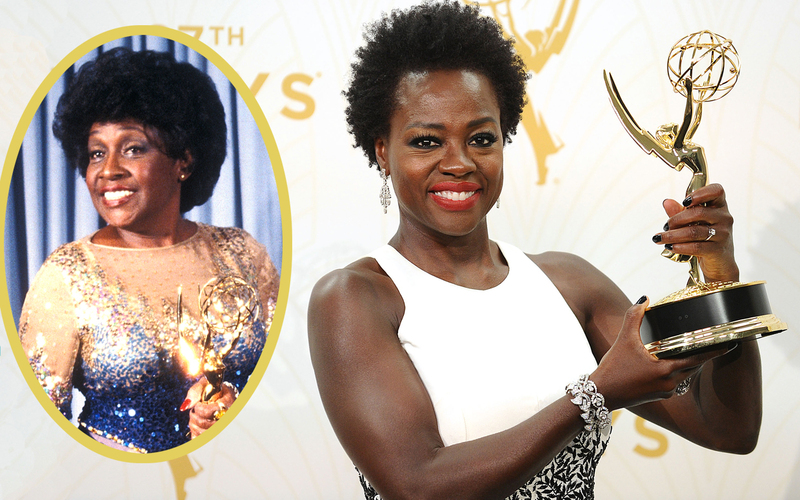 Isabel Sanford won the Emmy for Outstanding Lead Actress in a Comedy Series for The Jeffersons in 1981. She was the first black woman to receive that honor. 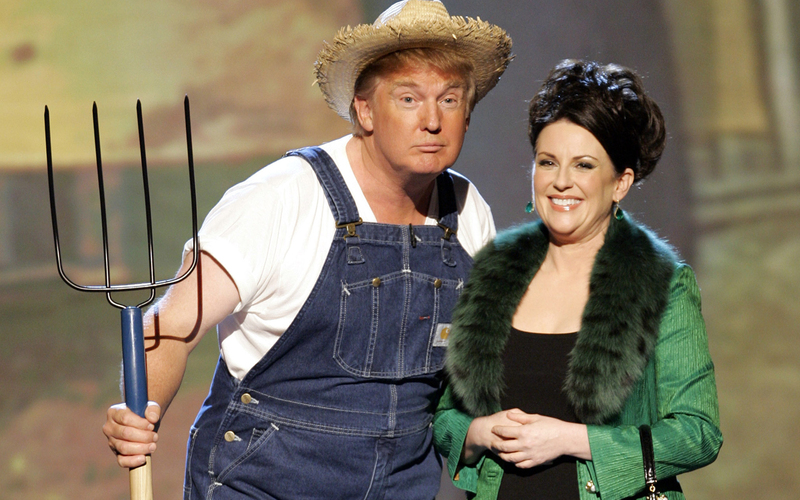 Grab the pitchforks: An overalls-clad Donald Trump, then host of The Apprentice, joined Megan Mullally—in character as Karen Walker of Will &—onstage during the 2006 Emmys for a campy duet of the Green Acres theme song in an “Emmy Idol” competition. 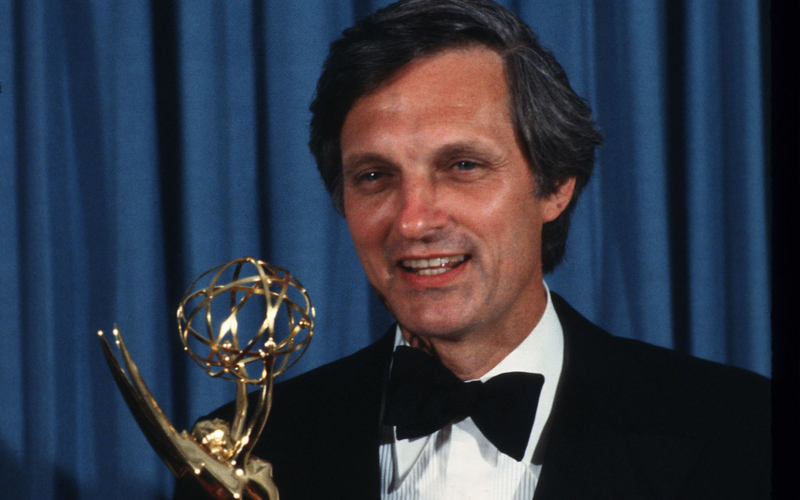 Though he had already won an acting and directing awards for M*A*S*H, 43-year-old Alan Alda was so excited to pick up an Emmy for writing an episode of the iconic comedy series in 1979 that he did a cartwheel in the aisle en route to the stage. During the roll call of nominees for Outstanding Lead Actress in a Comedy Series at the 2011 telecast, Amy Poehler, Laura Linney, Edie Falco, Tina Fey, Melissa McCarthy and Martha Plimpton all ran to the stage and linked hands in a show of solidarity, like beauty pageant contestants. Co-presenter Rob Lowe crowned McCarthy the winner with a tiara and a bouquet of roses. 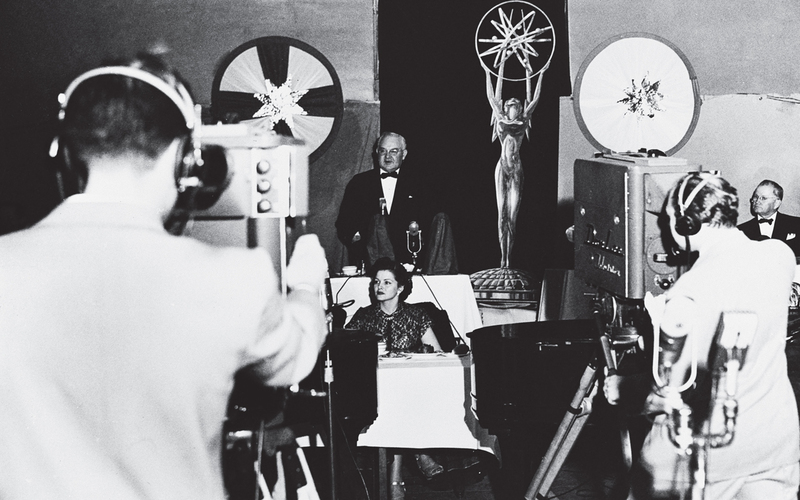 The very first Emmy Awards ceremony was held on Jan. 25, 1949, at the Hollywood Athletic Club. 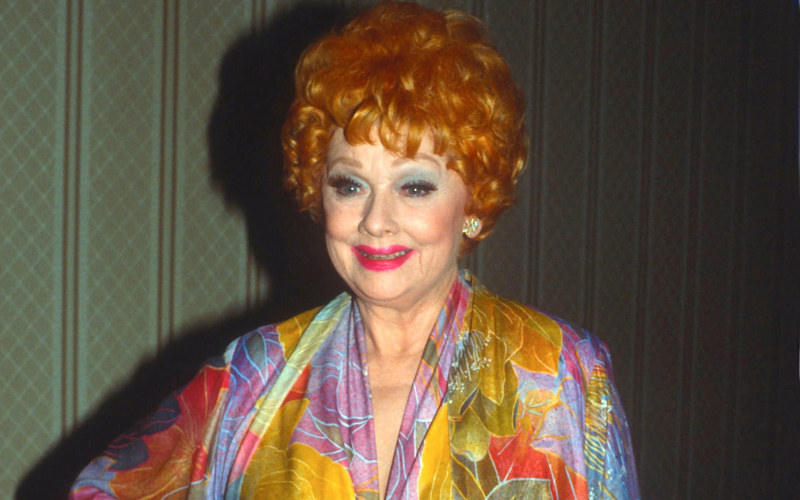 Hosted by then-popular TV host Walter O’Keefe, it was a no-frills affair (tickets cost just $5) in which only six awards were handed out to local Los Angeles programming. The first one, for Most Outstanding Television Personality, went to 20-year-old Shirley Dinsdale and her puppet, Judy Splinters, for The Judy Splinters Show. As the Television Academy of Arts and Science team was brainstorming a name for its awards, founder Syd Cassyd suggested “Ike,” i.e., the nickname for a television iconoscope tube. But other members worried the term was too closely linked to World War II hero (and future president) Dwight D. “Ike” Eisenhower. Future Academy president Henry Lubcke floated the idea of “Immy,” to reference the image-orthicon tube common in early TV cameras. 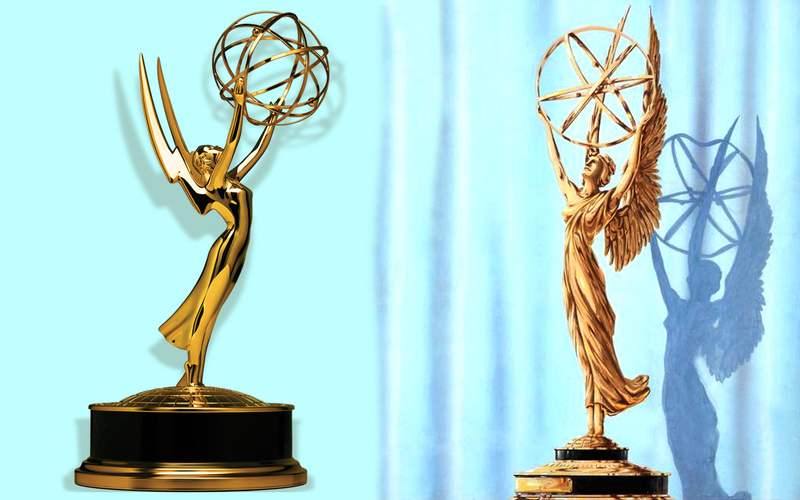 The rest of the team decided to tweak it to “Emmy,” to better match the feminine statuette they had selected. The trophy, modeled after a TV engineer’s wife, is a winged woman (representing arts) holding an atom (science).